Buying a home and starting a family often go hand in hand. But if you’re preparing to apply for a mortgage while you’re on maternity leave, it may impact your ability to qualify. Here’s what you need to prepare for should you decide to purchase a new home while you’re taking time off to have a baby. Is your income needed for pre-approval? Do you need your current income to be factored into the pre-approval for your mortgage? Then you’ll need to take this into consideration when it comes to timing your home purchase. If you will not be receiving income during your maternity leave, then that will impact your ability to qualify for the loan. If possible, you should be working during the approval and closing process, to avoid potential problems. If you will be collecting income during your maternity leave, you’ll likely be eligible but will need to jump through more hoops. Lenders use your salary information to determine how much of a loan you qualify for. During your maternity leave, those figures will often be different, which can give some lenders pause. The income you’re collecting is determined by a variety of sources, including short-term disability, paid time off and through guidelines established by the Family and Medical Leave Act. Since maternity leave is considered a temporary leave in the mortgage industry, it can be a red flag for some lenders. You’ll likely be asked to supply additional paperwork to verify your income. This could include a letter from your employer that details when you were hired, your anticipated date of return and your current salary. Your mortgage application will not include any questions about your pregnancy, so you should be upfront with your lender. They can help you understand what kind of documentation you’ll need and how best to go about securing a loan. 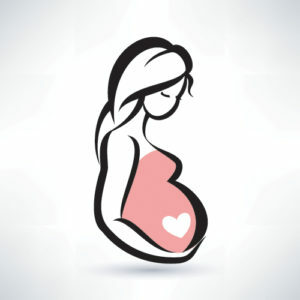 It is important to understand that being pregnant is not a legal basis for a lender to deny a loan. While you do need to have verifiable income, you cannot be denied the loan simply because you are expecting a child. It is against the law for lenders to discriminate based on your family status, which was established in 1968 with the Fair Housing Act. If you feel you have been denied a loan based on your pregnancy, there are steps you can take. Contact HUD (U.S. Department of Housing and Urban Development) and file a complaint with the Consumer Financial Protection Bureau. Having a baby and buying a home are both life-changing experiences. Completing both at the same time can be both challenging and rewarding. It can be tempting to splurge on that dream home to celebrate your baby’s arrival. But keep in mind how having a new family member is going to change your financial situation. Make sure you are purchasing a home that you can reasonably afford, given the new expenses you are about to encounter.